We start this page to announce some bad news, related to Let's Invade 2, a game I originally made for the RGCD 16KB cartrdige compo. The proposed release date on the itch.io page for the 16KB cartridge compo was going to be today. Just as I thought I had completely finished my game and the testing had passed. My game testers spotted 3 issues with the game, two days just before the release date. Therefore I had to postpone the release of this game. Still, if you'd like to see the game page, here's the link. 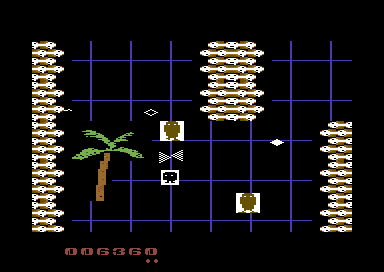 If you are writing a game for RGCD's 16KB cartridge compo 2019 or you just want to make 16KB cartridges for fun. I have created my own version of the the 16KB Cartridge framework, based on existing codebase sources by Enthusi/Onslaught. This updated framework is documented on how to use it. Should you have problems building an actual 16KB cart in CartConv. Using the newer source should some how be easier. Remember to read the instructions before you use it. Example framework uses Rogue Ninja as an example. 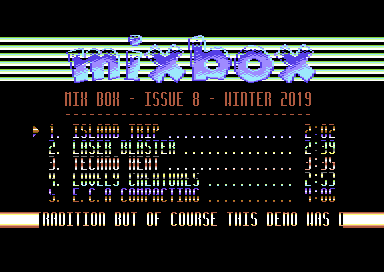 The latest edition of Mix Box 9 has been released to day, in order to make up for the delay of Let's Invade 2. This demo features yet another 5 brand new and exclusive unheard tunes, composed by me. Have fun. Just a quick one before next week's Good Friday/Easter Update (We may have something cool for you next week, you'll see). Matteo Angelini has delivered to TND a RTC utility, which will require DS1307 or DS3231 modules in order to use the tools. 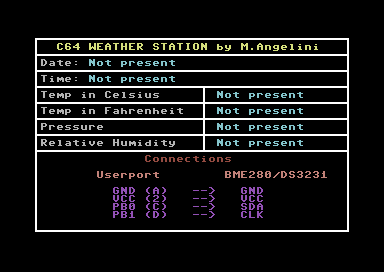 They are a RTC utility and also C64 Weather Station. The space blasters seem to dominate this year's compo, and we have yet another one for alien zapping SEUCK fans out there. This time by the name of Star MIG. This is VG Vox's final submission for the compo. This is a fun vertical scrolling Denarius inspired SEUCK creation. 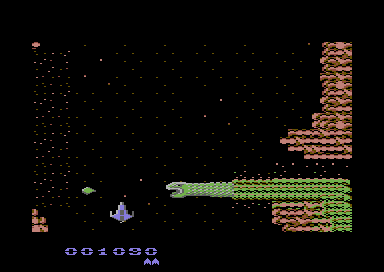 Your mission is to fly your Star MIG fighter past several alien bases, and make a good mess out of them. Then try to reach your home port. You are going to be having a real tough fight on your hands - so you'd better have that FIRE BUTTON handy and an appetite for intergalactic destruction. It is time for a world of might and magic, in this nice looking fantasy game by Eleanor Burns. Legion of the Damned 3 is the finale of the epic LOTD trilogy. In this chapter you play a role of fearless female warrior, Xandra, who has to save Coyed-Elyon, from a deadly power. A power which has been activated through a deadly Brex Rune stone at the top of Yaxley tower. Xandra must locate the stone and destroy it. Will she succeed in her quest, or will she perish, just like the other brave warriors did? Well, we are not going to be flying space ships and fight alien territory with this submission. Instead, let's go on a cartoon adventure. Mo Dernart has come up with a weird and wacky game concept, which is quite funny to look at and to me, also fun to play. Snake Eyes is a simple push scrolling game, in which you need to try and keep beating your own score. The idea of the game is also to Illinois Jones, a.k.a Snake Eyes find his way home, before he's captured by freaks. During his quest he must endure deadly snakes, tribesmen and other vicious freaky characters. Alf Yngve has been blasting away at bringing out yet another vertical scrolling futuristic arcade blaster for this Year's SEUCK compo. It is called "Fulgur". 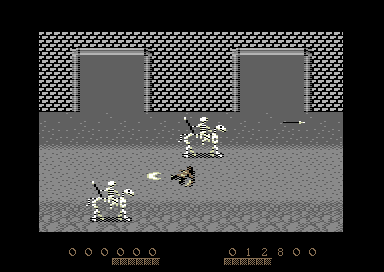 This game features 4 levels of pure arcade action, with stunning graphics. Also there are tough scenarios which require good tactics. Blue and Green Dragon pilots (controlled by you) are retaliating against their own Government control. The pilots are trying to escape from the borders in a bid for freedom. Unfortunately, their quest won't be all that easy because the Government has sent in their own dark forces to try and shoot your air craft down. So now, prepare yourself for a real big battle before you can esccape. There have been some newcomers coming to the SEUCK game creation compo, and things are shaping up quite nicely. If you are bored of space shooters, maybe this game will interest you. It is a push-scrolling mountain climbing simulator by PIEVSPIE. In this game you play a role of Ste Pilthis, a well known explorer. He dons his climbing gear, and is ready to undertake the most dangerous expedition yet. Can he conquer the piste, or will he fail and become even more piste? :) Hahaha!. I was originally saving this game for Reset issue 12, but since I opened my itch.io account on Friday, I decided to start with a new version of the game production I had not actually realeased yet. I was very trigger happy and decided to launch Starfysh Remix. This is a special edition of Starfysh, in which you are on a rescue mission. Planet Earth has been devastated, and the human race and pet dogs had been transported to four different stations based in space. Unfortunately alien forces knew what the earthlings were up to and they decided in an attempt to invade the four stations. 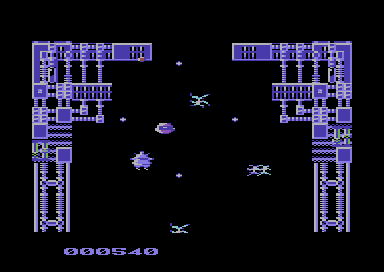 Your mission is to fly through each of the four rescue stations, and do battle against the aliens. Another SEUCK compo 2019 entry has hit TND HQ this weeken. This time it is a cool futuristic space blaster by VG VOX called Protox-1. This is a nice vertical scrolling shoot 'em up, in which you play the role of Captain John Rostar, who has accidentally transported himself into a parallel universe. Now he has to face a hostile world full of alien and giant reptiles. Luckily help is at hand. 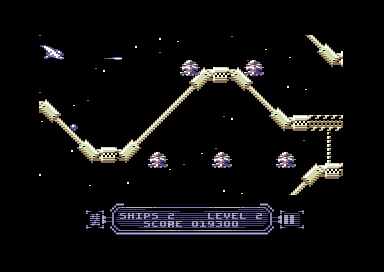 You must pilot John's squadron ships, through the alien infested planet. Locate and destroy the main androids that are controlling the alien world. Go on ... Blast, blast, blast and blast. After a longish delay, the latest installment of Assemble It is finally here. This time it features on smooth vertical scrolling upwards, and also smooth scrolling downwards. The chapter also carries a fun example game, which you can enjoy. 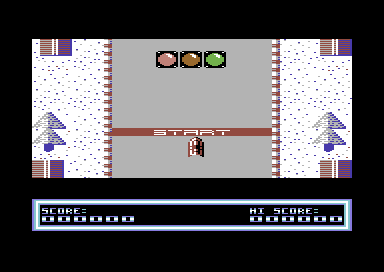 It is a Winter Sports themed game called "Super Toboggan Challenge". A simple game, in which you have to dodge your way past various obstacles that get in your way, also collect flags. This is a really fast paced score attack game. How far will you go? 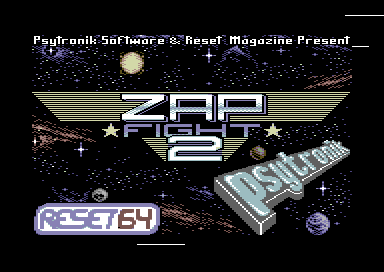 Here comes the second entry for the OFFICIAL C64 SEUCK COMPO. Written by VG VOX, with aid of the standard Shoot Em Up Construction Kit. This is a futuristic blaster, in which you control a robot, which has to save the world from enemy forces. There are several vicious boss attacks to battle your way through. There's even a cool remix of the original tune, Dance Nation, which VG Vox had originally stuck on the front end. I have supplied that one also, as well as the new build :) Have fun, and zap those baddies into oblivion. 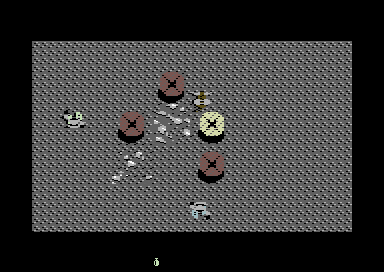 The Official C64 SEUCK Compo 2019 kicks off the entries with a first entry from a new contributor, Leonardo Vetorri with Nucleo 447. A vertical scrolling futuristic blaster. Yep, it's one of those cool SEUCK space blasters (My all time favourite genre of games), in which you fly through the deep voids of space, and fight against the evil aliens, and blast away having a good time. This time, you fly through a crystal world, doing battle against an evil machine, and its creator, and many of its minions. Go on, have a good blast. I'm sure you SEUCK fans will want to. Along with a breathtaking front end and a brand new T.N.D tape loader tune, "Let Me Go Home" with my own colourful, but oldschool style loader bitmap. Just a quick one today! 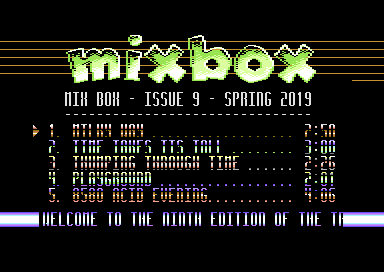 The long awaited MIX BOX #8 has now been launched. The music demo, featuring the Mix Box 7 layout (With new colour scheme) features yet another 5 brand new tunes for you to listen out and enjoy to. Most of the tunes this time were composed in DMC music players. I hope you have fun listening to the tunes. Who remembers the SEUCK Compo 2015 runner up game GIGABLAST by Alf Yngve? Well, by sepcial request from the game's author, TND is proud to bring to you a GOLD edition of this game. GIGABLAST - GOLD EDITION is a special version of the original GIGABLAST game. 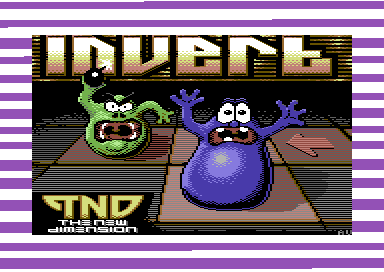 This new version features a brand new golden front end, an updated loading picture, smarter aliens, a new score panel, high score detection, action packed explosive gameplay and to top off all things, two brand new late 80's/early 90's house style SID remixes of the original loader tune and the title tune. Guide your mech ship and invincible drone through enemy territory and fight those aliens and robots. Happy blasting! Following the success of last year's SEUCK Compo 2018. 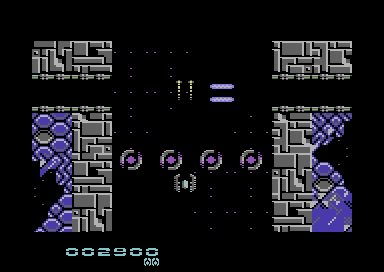 The New Dimension is very proud to present the Official C64 SEUCK Compo 2019. 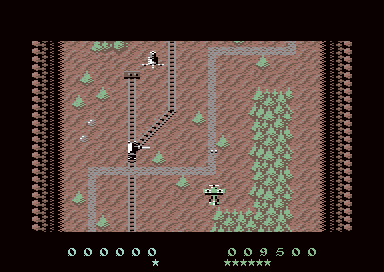 This is a competition in which is to design and develop a full game, created using Sensible Software's/Palace/Outlaw's Shoot 'Em Up Construction Kit or Jon Well's Sideways Scrolling SEUCK Left (As no Right scrolling version exists). No programming knowledge is required and this is supposed to be a fun competition. Remote entries only (Email). This competition is open to beginners as well as the SEUCK regulars. There's no themed or split category this year. Enhancements are welcome, although the prize is mainly to do with enhancing the games. SEUCK Redux is also allowed. Who will be the next winner of the SEUCK Compo to be crowned along with Eleanor Burn's Valkyrie 3 - The Templar this year?